If you’re looking for things to do in Palm Springs, I have rounded up a few of my favorites for you. Jeff’s Dad lives in Palm Springs so we have been making the three-hour trek from LA for mini-getaways and family vacations for many years. Palm Springs is nice because it has a laid-back feel, most likely brought on by the intense desert heat that makes you averse to moving. One of our favorite places to stay, The Westin Mission Hills, has a pet tortoise outside and so many times as I’ve watched him try to move around, I’ve thought about how he is the poster image for how I feel when I’m trying to do anything in the desert. I do love Palm Springs though. We’ve had so many adventures there over the years. While nothing beats lazing by the pool and intermittently playing football or volleyball with Luke, I have found some really great experiences worth braving the heat for. Here is a roundup of the best things to do in Palm Springs. Aside from the obvious biggest benefit being that I can use my Starwood Preferred Guest points for free stays, the Westin Mission Hills is the perfect compromise between luxury and family friendly. They have an arcade with old school games like Ms. Pac Man and Aliens where you can play with your kids for hours or until your quarters run out. They offer bike rentals that allow for lovely evening rides around the property and there is a water slide on site. It’s great for a weekend getaway when you don’t want to leave the hotel. The restaurant offers a breakfast buffet and an excellent green smoothie called “Gloria’s Renewal” that is the perfect way to fuel your desert morning. 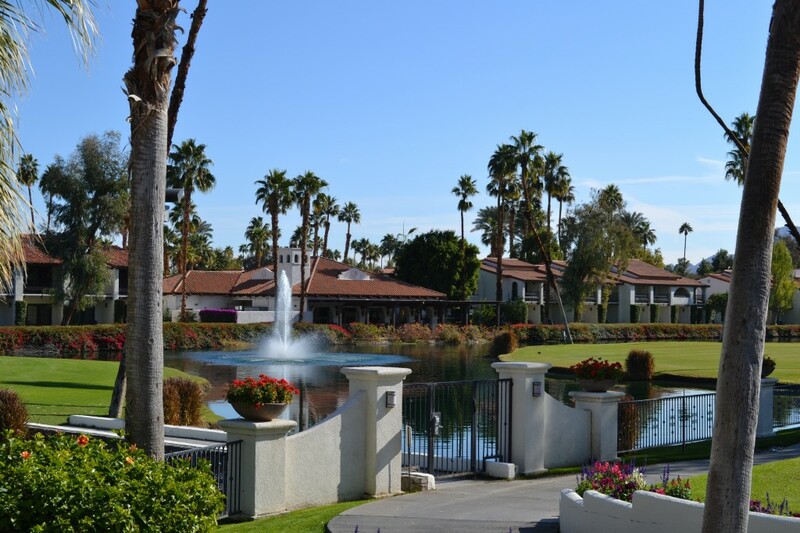 Gorgeous Spanish-style accommodations and a kids splash park make Rancho Las Palmas in Rancho Mirage a family favorite. 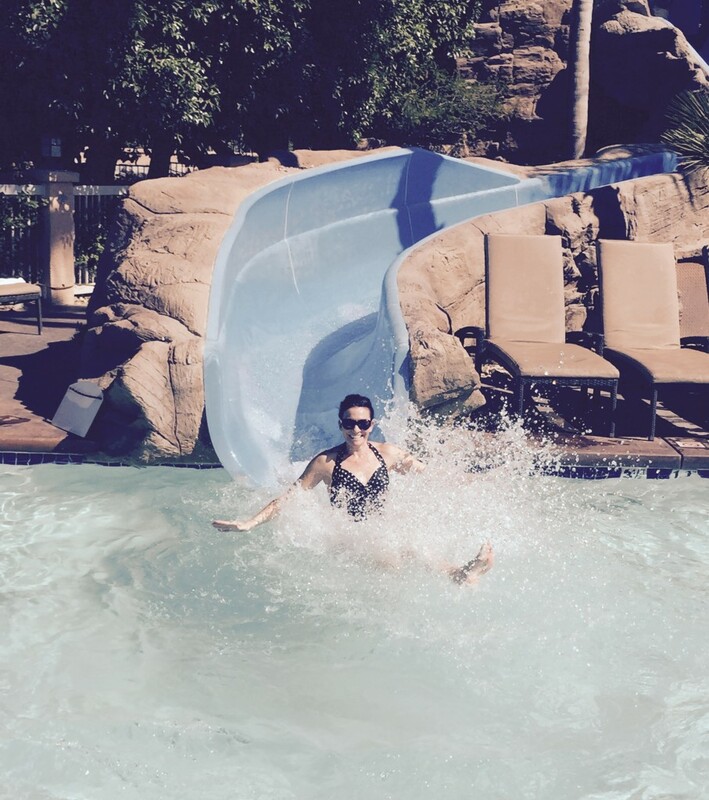 They even have a 425 foot lazy river so you can beat the heat while playing with your kids. 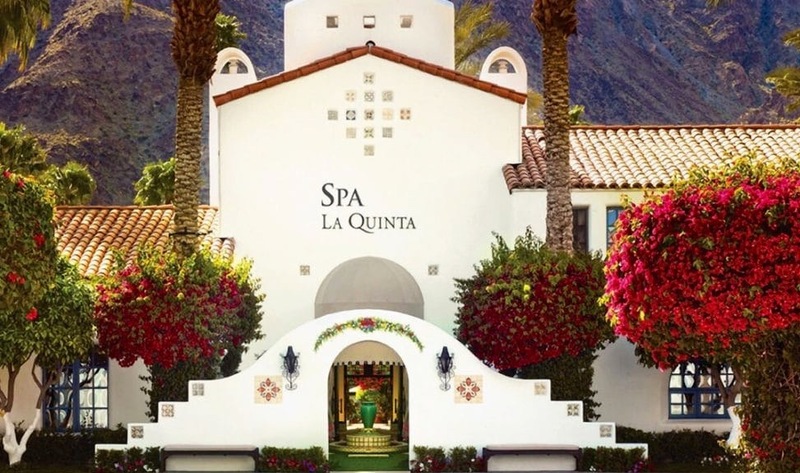 Part of the Waldorf Astoria hotels, La Quinta Resort in La Quinta, California offers spacious rooms, beautifully sculpted grounds and award-winning golf. Personally, my favorite amenity is the spa. 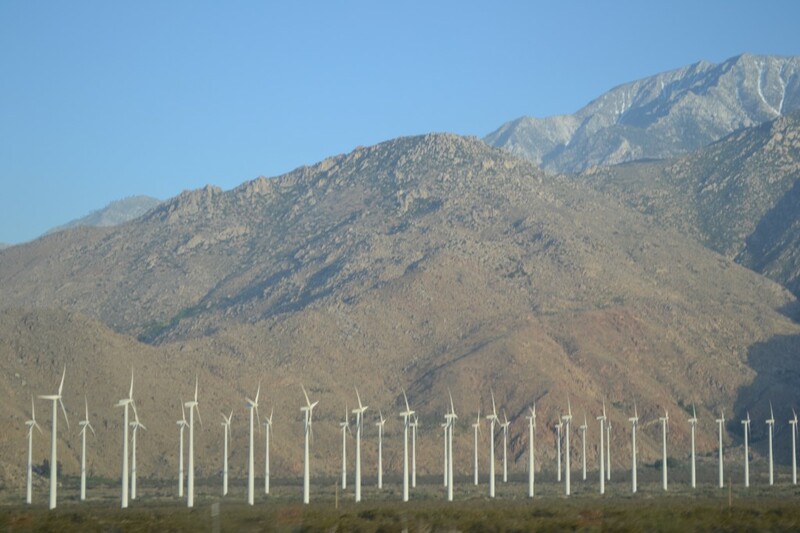 One of our most memorable adventures in Palm Springs was the dune buggy tour through the windmills. I had never been on a dune buggy but had wanted to ride in one ever since I saw the “cool girl” in High School drive up in one on the beach in my small New Hampshire town. Our guide actually built it himself from a VW Bug, which by the way, was my first car and my all-time favorite. The desert winds were blowing and the 108° day was just starting to cool off for the evening as we wound our way over the Pacific Crest Trail, by the famous windmills to the whitewater flowing over the rocks, which only overflows the Colorado River once every five years. Tearing down the highway with the wind in our face, this open air ride was awesome and the closest I’ll ever come to a motorcycle experience. 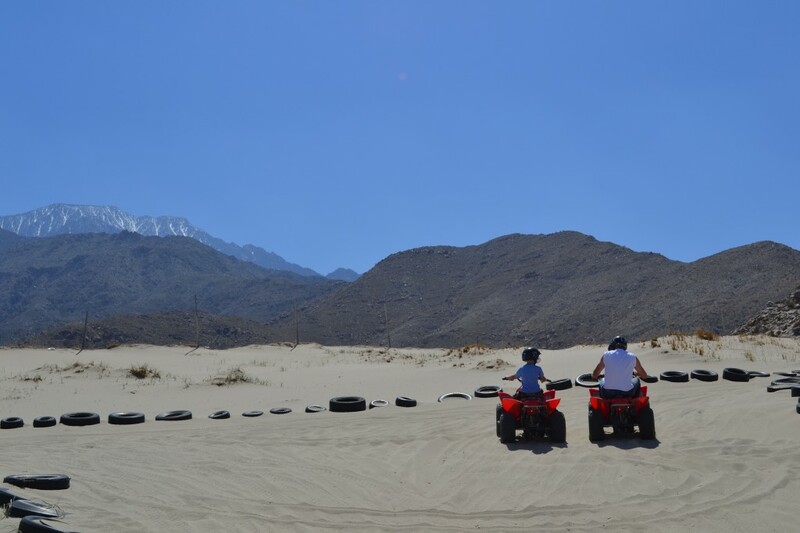 On one of our trips we wanted desperately to take Luke dirt bike riding in the desert but couldn’t find any rental places in Palm Springs, so we opted for ATVs at Off Road Rentals, instead. We had a great time but it was Labor Day and really way too hot to be riding around in something with no doors and no air conditioning. This is a great adventure but my advice is to do it between March and May before the Palm Springs weather reaches “face of the sun” status. We have experienced the Palm Springs Tram as an aerial ride and also on foot when we did the Palm Springs Tram Challenge. Walking it is no joke. The 8,500 foot elevation catches up to you quickly. 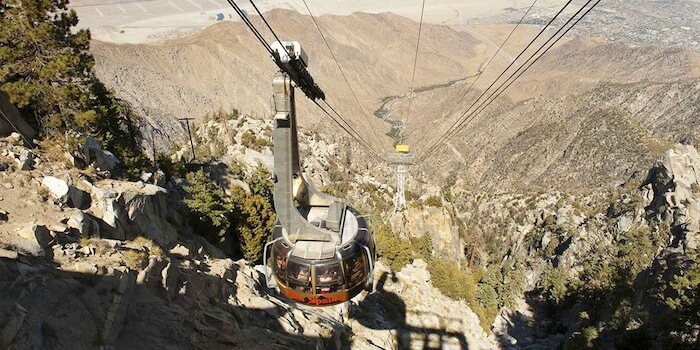 The Aerial Tram ride is a great way to see the Coachella Valley though and you can have lunch at the restaurant once you reach the top. 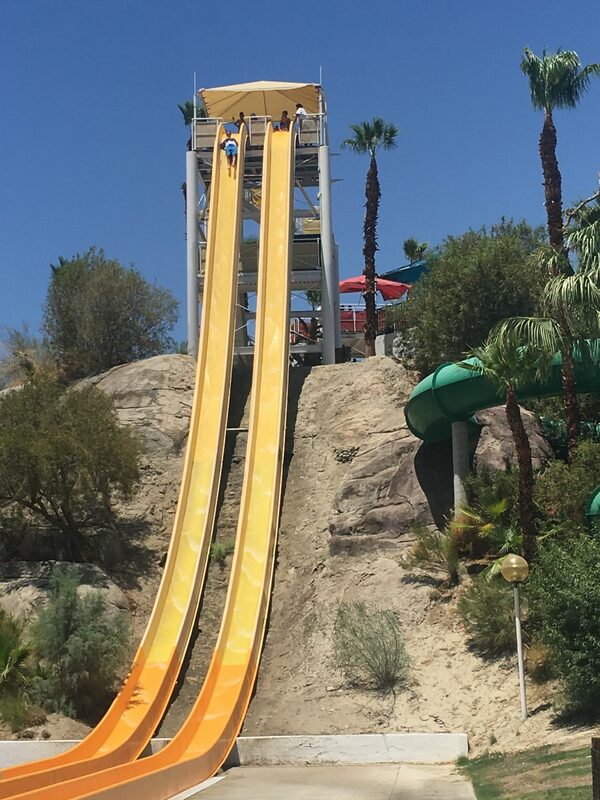 One Summer, we spent a few hours with Grandpa at Wet N Wild water park, in Palm Springs where we rode a ginormous water slide. It was super scary being 7 stories up and looking down. I just closed my eyes and went for it. 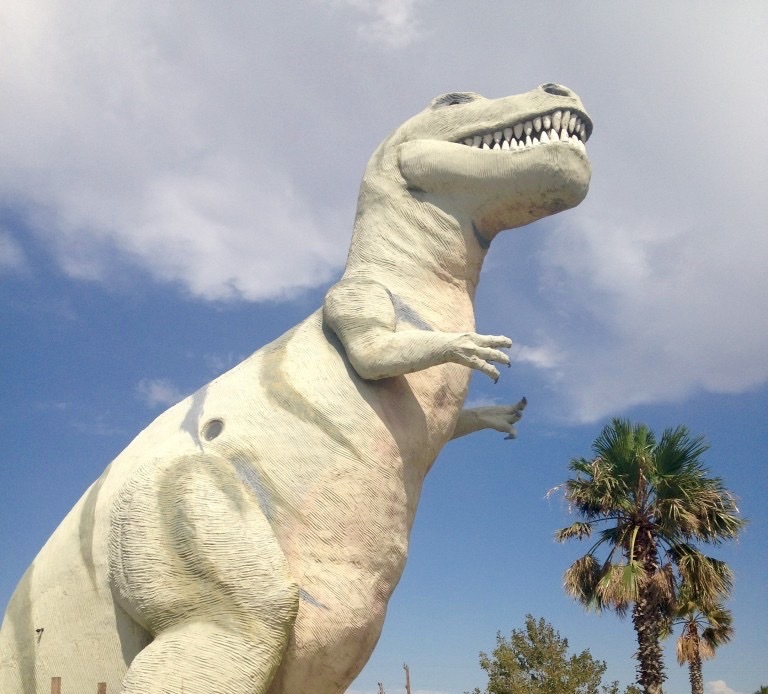 The Cabazon Dinosaurs in Cabazon are a great pit stop on your way out to Palm Springs from LA. 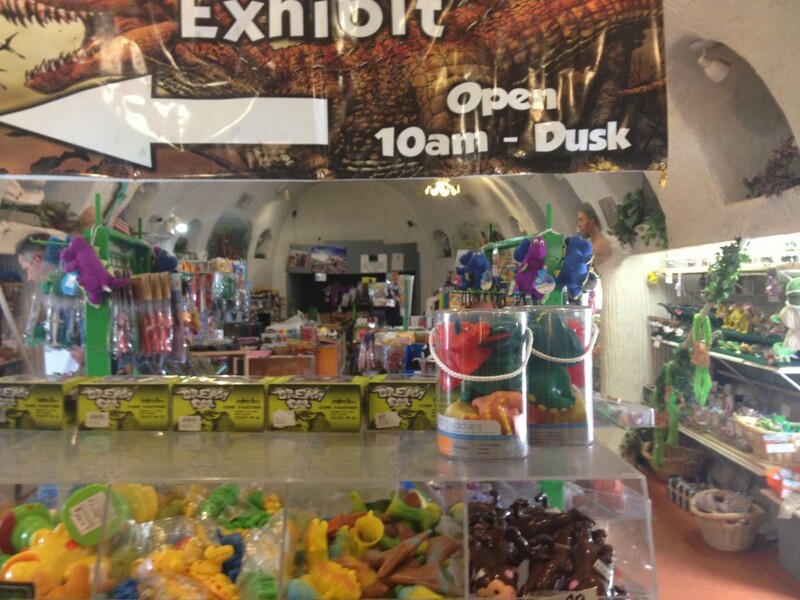 There is a gift shop inside of one of the large dinosaurs and you can climb the T-Rex all the way up to his mouth. I had a field trip to the Living Desert for one of my classes in college where we explored the diverse vegetation. I had not been back since then but we made a point to go on Spring Break this year. They now offer Camel Rides & you can see mountain lions and feed giraffes. So fun. Best time to go is October- April. 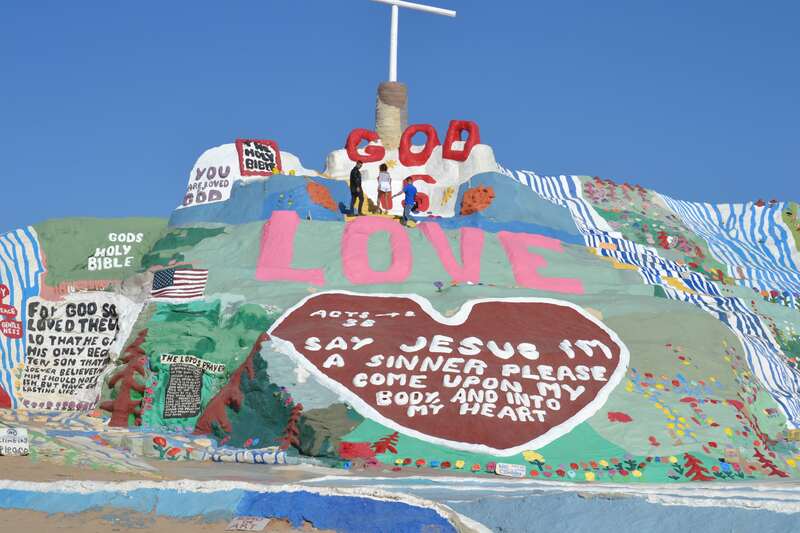 About an hour and a half from Palm Springs, in Niland, CA, is Salvation Mountain. Artist Leonard Knight has spent the last 30 years crafting monuments in the desert out of adobe clay and paint to create a spectacle for the world to see that God is Love. On our Spring Break trip to Palm Springs, a stop in Niland was on the itinerary. Such an amazing spectacle. Whenever I do a city guide, in addition to all of the things I’ve done and can recommend, I always like to include a at least one cool thing I haven’t done yet but want to. Maybe you can beat me to it! Dr. Seuss was my favorite childhood author, so I think it would be so wonderful to explore the trees that look like they belong in one of his books. 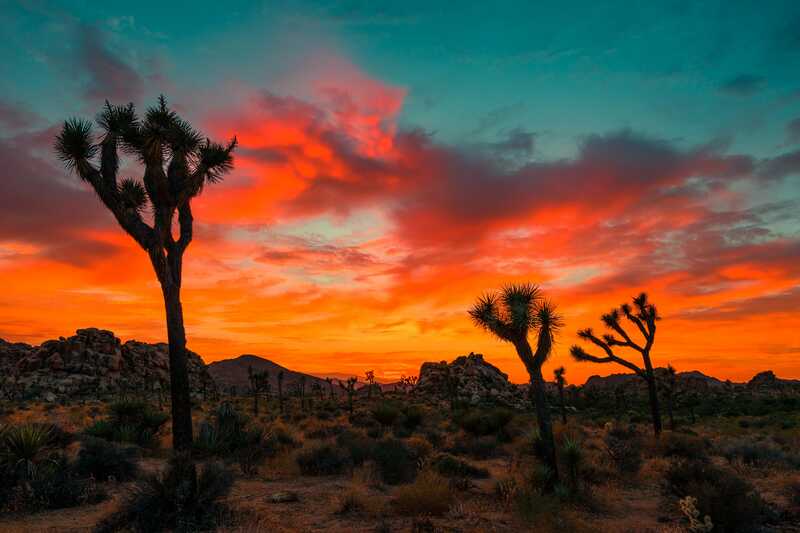 Joshua Tree National Park is where the Mojave desert meets the Colorado desert and is a wonderland of rocks. 40 miles east of Palm Springs. 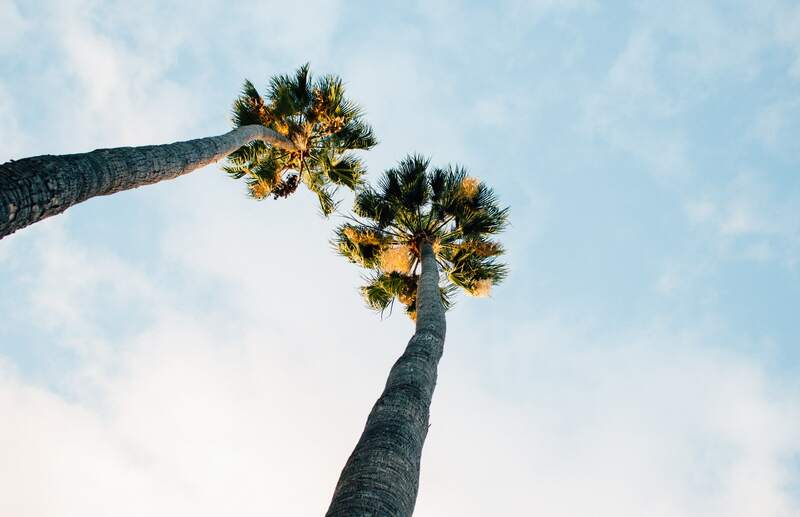 Palm Springs is more than just a desert getaway to lounge by the pool, it is a fantastic place filled with cult classic and natural adventures waiting for you to experience. 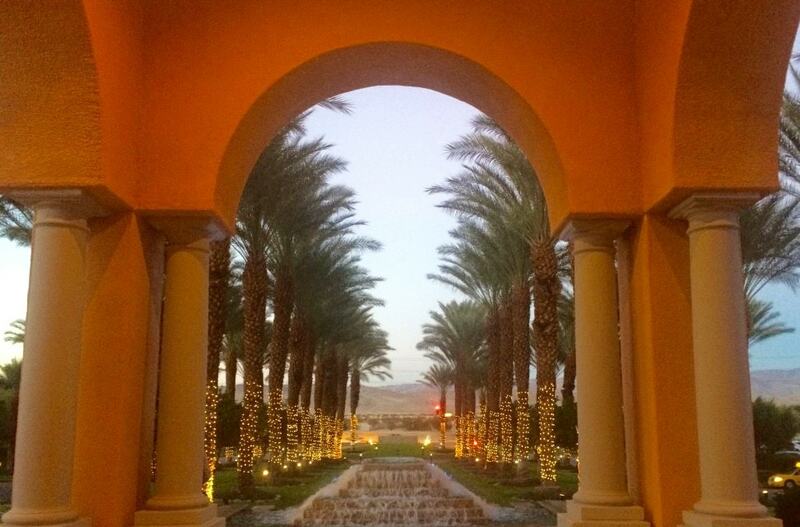 Palm Springs is a great family getaway choice if you happen to be in SoCal. 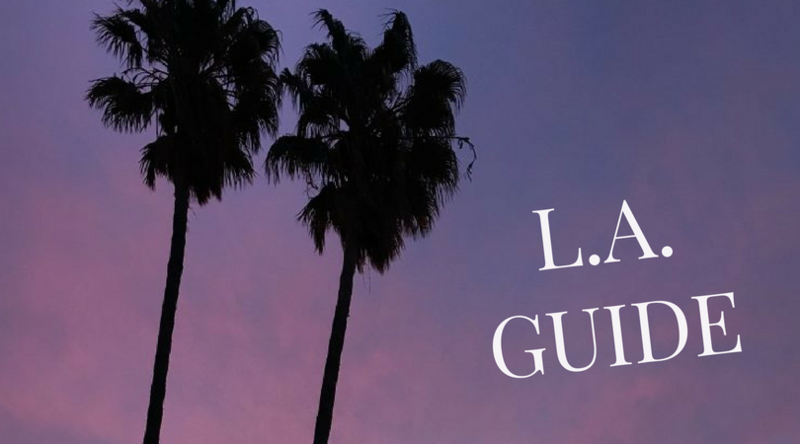 Sign up for the H&F Weekly Newsletter and gain access to the Ultimate Guide to Palm Springs Cheatsheet Free.